Interested in becoming a Blue Valley Board of Education member? Want to know more about what a school board member does? 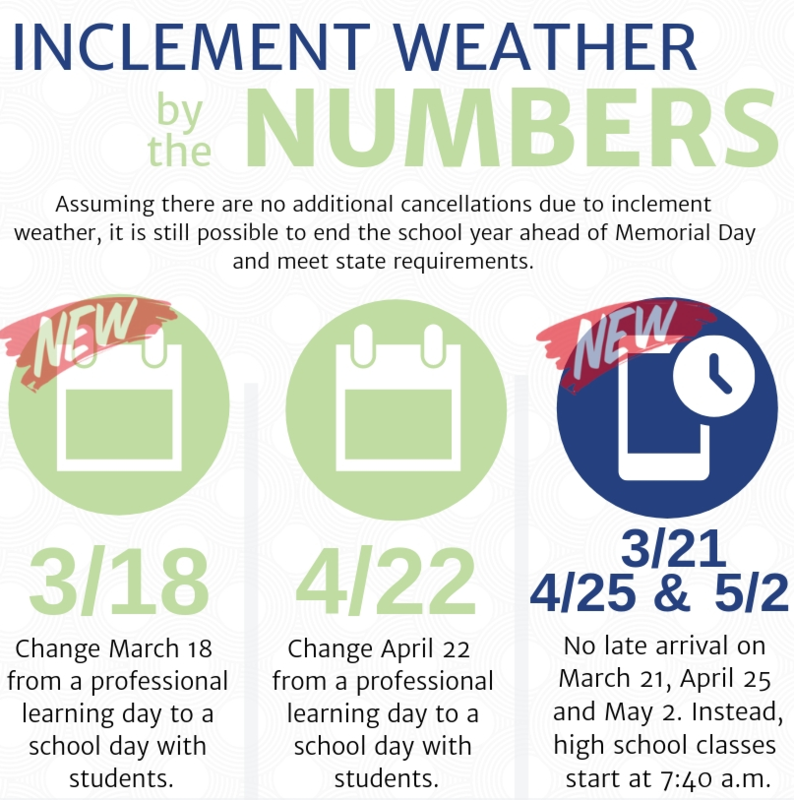 Due to the number of inclement weather days, Blue Valley Schools must make ​additional calendar adjustments in order to put the district in the best position to meet state requirements and end the school year by Memorial Day, a long-standing priority of staff and families. Dr. Tonya Merrigan, currently Deputy Superintendent, will succeed Dr. White as superintendent on July 1, 2020. Dr. White will retire from his 35-year career in education after the 2019-2020 school year. During this National Suicide Prevention Week (September 9-15) and National Suicide Prevention Month (September), the six School Districts in Johnson County, Kansas are joining together to launch the #ZeroReasonsWhy ​community mobilization campaign to prevent teen suicide. All members of the media should contact the communications office at (913) 239-4347 or email kbrutto@bluevalleyk12.org before contacting any school, student or employee regarding school or district issues. We will help to accommodate your request and make necessary arrangements for photo and/or video permission if appropriate. Blue Valley Schools does not allow media activity that may negatively interfere with teaching and learning, misrepresent the district and/or students or compromise the safety of students and staff. The district will use its discretion to vet media requests based on the scope of the request, intended use, potential disruption to school operations, deadline, Family Educational Rights and Privacy Act guidelines and other factors. Most requests, but not all, will be accommodated. Members of the media should contact the communications office and receive permission before going to a school. If you have not prearranged your visit, you may be asked to leave school grounds. Once you have been granted permission to be on school grounds, you must provide a government issued I.D. at the buzz-in entry to enter all Blue Valley school buildings. For the safety of our students there will be no exceptions. Students and staff will be informed that they have the right to refuse to be interviewed, photographed or videotaped. Please respect our students and staff members’ right to privacy. Only students with photo releases may be photographed or filmed and only after the district has given permission (see “Media on school grounds”). Reporters and photographers should check with the school to confirm student photo releases before printing, posting or airing pictures or footage. Permission from the communications office is not necessary when covering public events such as athletics; cheer, dance, color guard and band competitions; theater and musical performances; and parades. Please see the guidelines for submitting a public records request. In some cases, the information sought may already be available online. Examples include budget information, policies and regulations, school board information and school and district state test scores. Blue Valley Schools uses a variety of methods to distribute information about weather-related delays, early releases, closures and other news.